East Devon District Council’s 2018 cliff inspections report has revealed that cliff works must be carried out at Beer, Seaton and Sidmouth to protect public safety. 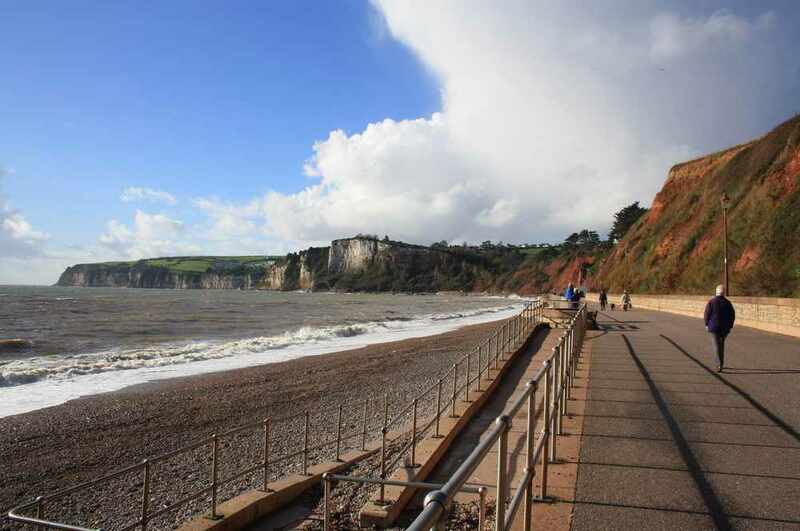 Netting and fencing will be installed at Beer and Seaton to catch potentially unstable cliff material from falling onto beach users, while the works at Sidmouth will see the wall at the top of Jacob’s Ladder stabilised. While the works in Sidmouth are being carried out, a section of the platform adjacent to Jacob’s Ladder will be closed, as will the Undercliff Walkway and cliff top path in Connaught Gardens for public safety reason. The installation of 15m length of catch fence adjacent to the Hideaway Café at West Walk, Seaton. The fence will be 2m high and is designed to catch material that would otherwise pose a risk to the public and the café itself. The West Walk and the Hideaway Café will still be accessible. The parapet wall at the top of Jacob’s Ladder in Sidmouth is to be stabilised through installation of a concrete corbel. An additional concrete corbel, a type of concrete ledge, will be installed underneath an overhanging section of cliff above the walkway between Jacob’s Ladder and Sidmouth town. Work will begin on February 25 and will continue into March. The extension of rock netting on the cliffs adjacent to the eastern extent of Beer beach, intended to prevent the fall of potentially unstable cliff material and reduce the risk to beach users, is also being tendered.